PLEASE NOTE OUR FINAL SHOW on FEB. 11 at 3 p.m. IS NOW IN GREENVILLE at COFFEE UNDERGROUND. Sunday, February 11 @3 p.m.
Also, for season ticket subscriptions, visit proudmarytheatre.com. 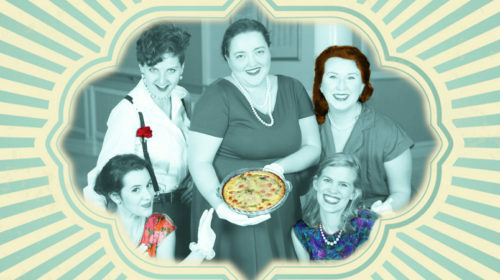 The award-winning Proud Mary Theatre Company, the Upstate’s alternative theatre, concludes its inaugural season with the hit comedy “Southern Baptist Sissies” by Del Shores (the playwright behind “Sordid Lives”) on August 3-5 in Spartanburg and August 10-12 in Greenville at two former Baptist churches. 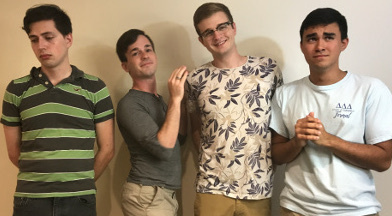 “Southern Baptist Sissies” follows the travails of four young Texan lads as they maneuver between the teachings of the Southern Baptist faith and their budding sexuality. This coming-of-age tale is set in Calvary Baptist Church and a nightclub in Dallas. “Southern Baptist Sissies” is recommended for ages 16 and up. The play runs August 3-5 in Spartanburg at the West Main Artists Co-Op at 578 West Main Street, and August 10-12 at the Greenville Unitarian Universalist Fellowship at 1135 State Park Road in Greenville. All shows are at 8 p.m., EXCEPT for two 3 p.m. matinees: Sunday, August 5 and Saturday, August 11. Tickets are $10 General at the door or at http://www.proudmarytheatre.com.